Society today is fascinated by crime. Crime is a hot topic in the media, so that people are continually exposed to criminal events, portrayals of those who commit them, and the suffering of victims. Yet the reality of crime is often very different from how it is portrayed in the media. Most crime is neither violent nor morbid; most offenders are not psychopaths, and although prison generally does not work, there may well be other, less punitive but more constructive interventions that are actually quite effective. This book exposes some of the most prevalent myths about crime and criminal behaviour. In addition it provides the reader with up-to-date knowledge on crime and offending behaviour. 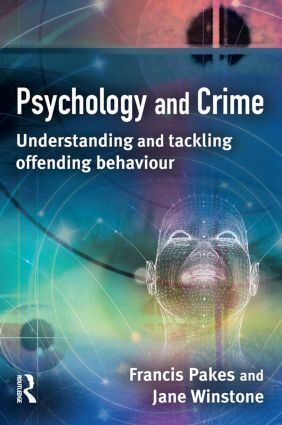 It also highlights the ways in which psychological methods of research and psychological knowledge can help us to understand criminal behaviour and the ways that targeted interventions are developed based upon this. Pakes' and Winstone's Psychology and Crime is essential reading for students taking courses in the psychology of crime, criminal and forensic psychology, criminology, and community justice, as well as for other courses where a knowledge of the complex relationship between psychology and crime - and its application in practice - is required. Practitioners and policy-makers will also find it highly informative. The psychology of addiction – are there more questions than answers?